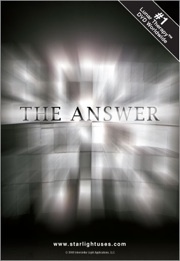 "The Answer" is a documentary on 'Interstellar Moonlight Therapy' or easier understood as Lunar Therapy, which is a doctor supported therapeutic breakthrough and is believed to be one of the most powerful tools for stress relief, relief from depression, mood elevation, improved health, deeper meditation, pain management, balance and improved sleep and deeper inner peace, with new beneficial discoveries every day. 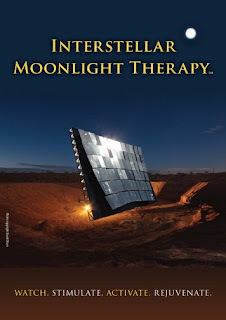 Researchers, doctors, healers and ordinary people from all over the world are experiencing and supporting the moonlight collector as a medical marvel. The Interstellar Light Collector is unlike any other array in the world. Four years of collaboration by advocates of alternative therapies, private stakeholders and experts in the fields of engineering, optics, bioscience and medicine resulted in the completion of the world's first and only light collection device. The ILA collector is not only an achievement in innovation, but also an execution of groundbreaking design. 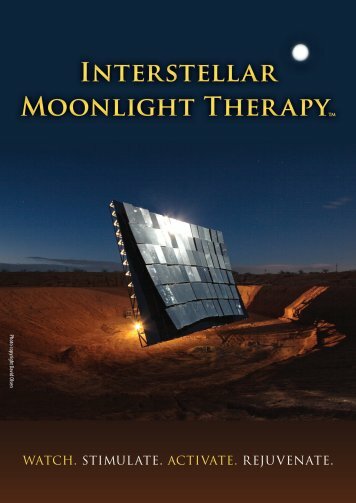 Situated in the Southern Arizona desert in a secure location 15 miles west of Tucson and 22 miles east of Kitt Peak National Observatory, the ILA collector is a parabolic, non-imaging optical collector composed of 84 mirrored collection panels. At 52 feet high, 60 feet across and weighing 25 tons, this breathtaking device is colossal, yet has the maneuvering capability and precision of a Swiss watch. The Interstellar Light Collector rotates a full 360 degrees, and can be aligned with the position of the moon to 1/10,000 of an inch in accuracy. With a collection surface of 3,000 square feet, the collected light can be focused into an area as large as 10 by ten feet or as small as 1mm that can pulsated or applied as a laser and transmitted directly into the accompanying research facility. A line of investigation into the characteristics of natural light raised intriguing questions about the possible uses of alternative spectrum light, specifically moonlight. This 60-minute DVD "The Answer" includes a 15 minute lunar therapy session and a 9 minute guided meditation session in the concentrated moonlight of the Interstellar Light Collector. It's the next best thing to being there.